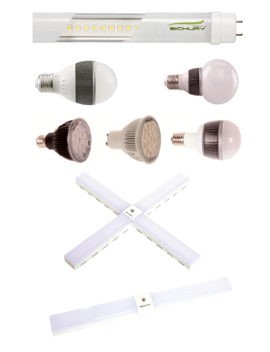 Sejong High Tech Co., Ltd. is a specialized company in LED industrial lighting. It has earned certifications such as ISO9001 and ISO14001 in the past. 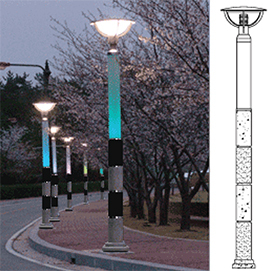 Sejong High Tech’s LED street lighting of Sejong High Tech features simple design, excellent brightness, symmetrical match based on CIE and easy installation frame & structure. It is a dedicated product for street lighting with its brightness which meets KORCI standards. Its product module units are easily replaceable. And energy-saving of up to 71% is possible through the effective dimming control system for LED street lighting, based on a comparison between LED street lighting of 100W and metal halide street lighting of 250W. 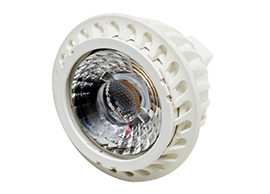 Its luminous efficiency is 120lm with luminous flux 10,320lm. Sejong High Tech’s 100W/150W is intended to replace existing 250W/400W metal halide lighting. It features lightweight, simple and elegant design, not to mention an excellent heat ejection system. Its wide beam angle reflects up to 110 degrees with its advanced optical design. It is easy to install with its frame and structure. It has a durable product exterior to protect it against harsh environments. It is applicable to factories, warehouses, exhibition halls, auditoriums and generator rooms. 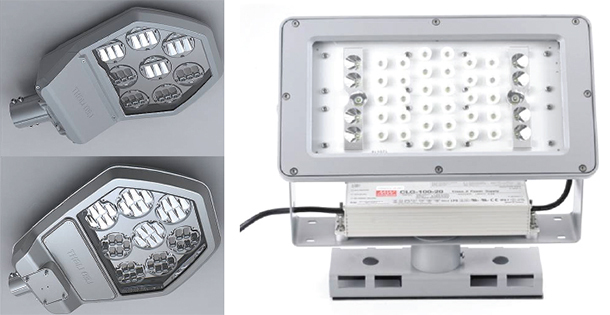 Its luminous efficiency is 150lm and luminous flux 15,400lm. Its specific characteristics include high reliability, easy replacement, long lifespan, easy installation and eco-friendliness. It has earned LM80 certification evaluated by the U.S. Energy Star Program. It is fitted with an LG Innotek LED chip. It is also easy to replace as the light component is individually replaceable with easy SMPS. It lasts five times longer than metal halide due to excellent heat radiation structure. In 2009, Zam LED started manufacturing of LED lighting, which could save electric energy significantly. That was a kind of business for the company partly to contribute to solving the depletion of energy resources. Also the fact that LED lighting is essential for the green energy sector as it can completely remove industry removals released by existing lighting led the company to begin the business. Zam LED mostly produces such indoor lighting as LED bulbs, tube lights, PAR30, down lights and panel lights, and related kinds of products. Zam LED exports nearly all its products to India, Vietnam, Dubai and other countries where users suffer higher temperatures and the problem of frequent shortages and cuts of electricity. The company has developed all of its products as wide voltage. It has main office in Gyeonggi province and main factory in Chungnam province as strategic locations, respectively. Also Zam LED will start to run a new factory, in Chennai, India from Nov, 2015 that it plans to export LED lightings to all over the world from India. As the most representative LED lighting among many kinds of LED lightings, LED PAR30(10W/13W) leads the company’s strategic move for overseas markets. 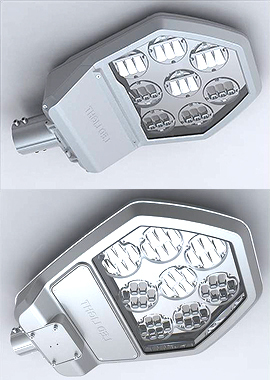 Now two types – spot light type, fl ood type (high effi ciency) – are manufactured. The two types of LED lighting products are now called most popular products with the highest quality, design and competitive prices. Light colors are 3,000K, 5,700K. The scope of available temperature is from -20°~50°C. Notably, LED lighting products ensures up to 40,000hrs of lifetime. Other highly competitive LED light products including LED panel light, LED tube tube light, and LED tube light are also emerging as products that could strongly capture the att ention of global potential buyers. [INQ. NO. 1502E21] Teklux is an up-scale LED lighting manufacturer and exporter based in Seoul, Korea. It specializes in R&D activities, production of LED tubes, LED bulbs, LED panel light, LED down light and LED light fixture. Teklus has successfully expanded its exports to Japan, North America, the Middle East and Mexico. Starting with the establishment of an LED lighting laboratory in July 2007, the maker raised a big presence including building a factory for mass-production of LED lighting factory in Dec. 2008, obtaining the CE mark/ISO9001 & ISO14001 certification in 2009. Teklux obtained the certification from the Korean venture entrepreneurship, obtained a patent for LED lamp cover design, and obtained government approval for the Teklux optoelectronics institute. The maker won the Korean good design mark for LED bulbs. And entire range of products obtained RoHS approval. 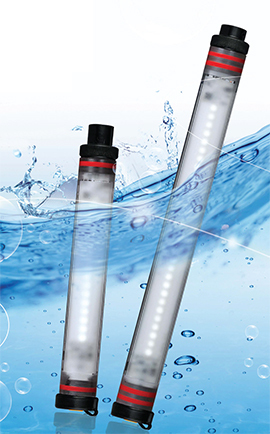 Teklux’s super-light damp-proofing LED tubes TL Series are 32W / 40W fluorescent lamps that can replace the existing LED lamp. The products can provide highpower factor above 0.9 and high-efficiency above 86%. The TL Series is compatible with worldwide AC voltages and frequencies, and the free voltage-type can reduce the installation cost due to it being power controller free. Moreover, the product is lighter than other LED tubes, energy-efficient and low heat. The fire-resistant components provide a safe environment, along with the long lifespan and low maintenance cost. TL Series can be applied to the refrigerator, for commercial use, in parking lots, and also at home. There are also many competitive lineups leading the company’s drive into remaining promising overseas markets, including the TLC series. [INQ. NO. 1412E17] Founded in 2009, Navery Korea has consistently developed and manufactured next-generation LED lighting products with eco-friendly, high-energy efficiency features through massive investments in R&D. As an inno biz company, Navery Korea has been winning solid recognition for its quality products applied with advanced technology. In 2013, it became the 8th company in Korea to acquire the certificate of “Green Specialty Enterprise.” Navery Korea also received the “Excellent Products” certificate awarded by PPS in the sector of outdoor lights, and thus ranked 2nd in the sale of LED lights for PPS from 2010 ~ 2012 and ranked 1st for five years in a row from 2009 ~ 2013 in the sector of LED floodlights. Those results helped the company to remain a leading company in the field in Korea. Now in addition to its LED floodlight, two other lighting products – LED security light, LED street light – also lead the company’s advance into potential overseas markets. Displaying a longer life of a minimum of 50,000 hours, the two LED products consume less power than the existing discharge ones. Also the two have high-efficiency converters in them, so that they show high lighting efficiency. Changes of reflector for them allow specification adjustment to meet installation height and light distribution type. The two are products acquired high-efficiency apparatus certification. Filed Under: Electric Tagged With: LED Lighting, LED security light, LED Street Light, Navray Korea Co. Ltd.
[INQ. NO. 1410E19] The charge-type wireless LED perfect waterproof lamp, TYB-16, is applied with patented waterproof technology by Taeyang Industry Lighting, and uses rechargeable Liion battery of 3.7 Cdc 10,400 mAh. The charging can be enabled up to 500~600times, and the product size is 35 mm in diameter and 260 mm in length. Also, the TYB-16 weighs 210g, and perfect for the outdoor activities as it is designed to be waterproof against rain. Also, the product can endure up to 40 meters in depth, and is safe to be used for camping in the rain or in any places with water such as in construction sites, waste water disposal plants, aquariums, or during fishing. Also, the product can be used as a warning light on the road in case of car accident or road construction. 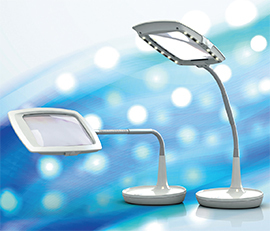 Taeyang Industry Lighting focuses on the technology to develop LED lighting for various uses, including the uses requiring waterproof functions, etc. Since its establishment in 2002, the company continued its efforts to develop new technologies through its affiliated R&D Center to acquire numerous patents for its technologies, including the fluorescent bar lamp, all-in-one wire waterproof switch, road light, and many others. Also, the company had been acknowledged through several certifications, such as the ISO 9001. [INQ. NO. 1410E17] BICHURY T8 LED Tube is a G13 cap base product providing 40,000 hours of average lifetime. The converter type is external, and high heat dissipation technology is adopted. BICHURY is an exclusive brand name developed and manufactured by JSJTEK, and the product is 260mm in diameter and 1198 mm in length, and weighs 280g. The operating temperature is from -20°C to 50°C, and the beam angle is 140 degrees. The luminous flux is 1700 ~ 2350 lm, and the luminous efficiency is 100 ~ 112 lm/W. The product is available through the order code L17W-8, L17C-8, L21W- 8, and L21C-8. BICHURY T8 LED Tube obtained numerous certifications for its quality and technology, including the KC and CE certifications, and the Certification of High Efficiency. 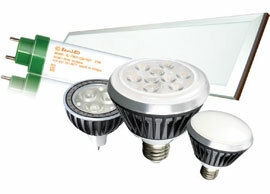 JSJTEK was established in 2007 and is the frontier of LED lighting. The company provides advanced, energy-efficient solutions for the indoor LED lightings, and through product development, strict quality control and active investment in R&D, the top quality of the products produced by JSJTEK are acknowledged not only domestically, but also by many countries worldwide. [INQ. NO. 1410E05] The downlights developed and manufactured by Shinepix are provided in LED 6 inch and 8 inch downlights, with 15W for SPD15 and 35W for SPD 33. Dimensions of the SPD 15 downlight are 180 X 100 X 145 mm, and weight 0.62 kg. Power consumption is 15W, using 200V. The operating temperature is -10°C ~ 40°C, and the lifespan of the downlight by Shinepix is approximately 30,000 hours. The beam angle is 140 degrees. The SPD 33 model is 253 X 230 X 110 mm in dimension, with 0.93 kg in weight. Power consumption is 35W, with a lifespan of 30,000 hours. Also, the LED 9.5 inch downlight is offered by the company, with power consumption of 43 W, and dimensions of 270 X 130 X 240mm. Shinepix was established in 2005, and grew rapidly and professionally as the leading LED lighting and application manufacturer, producing various kinds of LED lightings for bicycles, motorcycles and other vehicles. Through the exclusive technology developed by the company, Shinepix provides quick production, thorough follow-up, high quality and low price for the customers. Products are customized according to the customer’s needs for maximum satisfaction. Through these efforts, Shinepix acquired numerous patents and design certifications, including the 2-Way RGB wireless controller. Also, the company had been approved through many certifications, such as the ISO 9001. Filed Under: Lighting Tagged With: bicycles LED lighting, downlights, LED Lighting, motorcycle and vehicles LED lighting, Shinepix Co. Ltd.
[INQ. NO. 1410E04] The lighting column developed and manufactured by Bandy Plex is a column standing in a line, which maximizes the mystique for pedestrians through colorful and splendid light production by adding beautiful lighting effects to each column. Therefore, the lighting columns by Bandy Plex are installed throughout tourist spots and can be increasingly seen in such areas. Bandy Plex provides various colors and functions of lighting columns through the BP-TT4 series. The input voltage is 220V, and the maximum electric power is 30~175 W. The lighting column is dustproof and waterproof, and permits operation ambient temperatures of -15°C ~ 40°C. The lighting is provided in various colors, depending on the requirements of the customer. Bandy Plex was established in 2001, and specializes in the development of optical fiber dimmers for scenic lighting. Through continuous efforts in R&D, Bandy Plex registered and acquired numerous patents, utility models and design patents, including the multi-directional light equipment using high-brightness LED, cooling device of solar light systems, angleadjustable lighting instruments using fiber optics, fiber optic lighting structure of spray nozzljes, lighting devices for tree lighting instruments, and fiber optic lighting instrument cases.